One of the few remaining hopes of the Apple bulls is that Apple will soon introduce a dazzling new smartwatch–the iWatch–that will instantly create a whole new must-have gadget category that Apple will dominate.After all, that’s what Apple did with portable music players, smartphones, and tablets. And the years after Apple invented and then dominated those gadget categories were good years indeed. 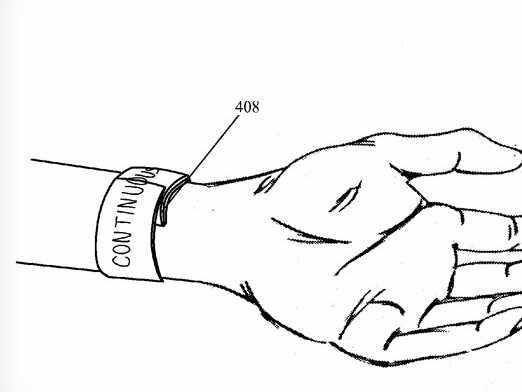 There is certainly a lot of evidence to suggest that Apple is about to introduce this iWatch. 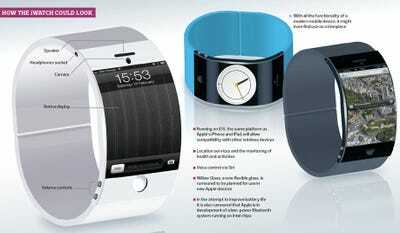 There are the non-stop reports that Apple’s working on such a watch, for example. And there’s the patent filing. And there’s supply chain scuttlebutt. And so forth. So let’s just go ahead and assume that Apple’s going to launch the iWatch. And let’s assume that Apple will charge, say, $199 for this watch. Are you really going to want one? Well, obviously, if you’re an Apple zealot, you’re going to want one. But if you’re a normal person are you going to want one? Well, obviously we should reserve final judgement until we actually see the iWatch, but I have to say that, thus far, I don’t feel any great desire to have one. Because I just don’t think it’s all that much of a burden to take out my smartphone. I love my smartphone (an iPhone). I’m so used to using it, it is basically a part of my hand by now. I don’t consider it a burden at all to hold on to or operate my iPhone. And with the exception of the possible “fitness tracking,” the iWatch just sounds like a smaller, more limited, more awkward smartphone. We presumably will not be able to type on our iWatches. We presumably won’t really be able to use the Internet on our iWatches. We won’t be able to watch movies on our iWatches. We won’t be able to take good pictures with our iWatches (or, at least, we won’t be able to take good pictures any more easily than we can with our iPhones). And if I’m going to have to carry my smartphone anyway, to give the iWatch Internet access, I can’t imagine why I would also want to carry around another smaller, crappier version of my smartphone. Maybe the iWatch will just connect directly to cellular networks, thus alleviating the need to carry around a smartphone. That would make the iWatch more appealing for some people, presumably–the folks who rarely use the screens of their smartphones. But assuming the iWatch does need to be “paired” with a smartphone? The Wall Street Journal’s gadget god Walt Mossberg just reviewed another smartwatch–the new “Pebble” smartwatch that the techochamber is all jazzed about. He didn’t like it much. The Pebble watch didn’t work very well when Walt used it, but presumably the Pebble folks will work the bugs out. More disturbing, at least for those who expect the iWatch to save Apple, is that the Pebble watch just didn’t seem that useful.And then there’s the price. Anything’s possible, but it’s hard to see how Apple could charge more than, say, $199 for a smartwatch–especially if it needs a smartphone to operate. And if Apple charges $199 for the iWatch, then Apple has to sell an absolute boatload of iWatches for the iWatch to really move Apple’s revenue needle. So, although I confess that I’m excited by the possibility that Apple might soon launch a whole new product category, I’m sceptical about the near-term potential of the iWatch. It just doesn’t sound that insanely great to me.